It was an auspicious first day of work for new MVCA Executive Director Maureen Miller Brosnan. “Not many people get a party this big thrown in their honor the first day on the job!” she joked before a record crowd of 215 at the MVCA Annual Awards Dinner on December 1, 2014 at the Inn at St. Johns. The attendees, speakers and honorees were an illustrious and welcoming group, befitting an event that has grown exponentially alongside its community over the last decade. MVCA Board Chair and managing director of Venture Investors, Jim Adox welcomed the group and pointed out the importance of teamwork and synergies among the entrepreneurial ecosystem, concluding that “we’re sharing people, ideas and money.” He cited the rise in prominence of Michigan’s venture capital community nationally in 2014 and spoke about the organization’s 2015 work, which should include formation of a new fund-of-funds, launching a new program, Executive Connect, and board members supporting the new executive team of Brosnan and Associate Director Emily Heintz. Former Executive Director, Carrie Jones, was recognized for her service to the organization and Heintz was lauded for “keeping the train on the tracks” while planning the group’s largest-ever awards dinner during the transition period. Keynote speaker Jacques Panis, President of Shinola, shared that Shinola’s growth has been astounding; the company has hired over 200 people in the last 12 months alone. The 330-person company he leads in Midtown-Detroit is a domestically manufactured watch maker scaled to build 170,000 watches a year. 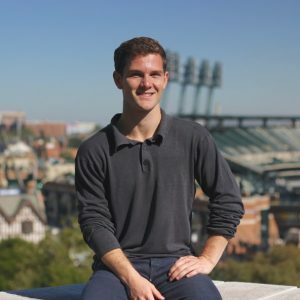 He finds the people of Detroit perfectly suited for the type of high quality product that Shinola demands and suspects the audience of venture investors find similar attributes in the entrepreneurs of the region. 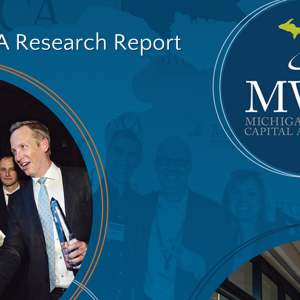 Kelly Williams, President of Grosvenor Capital Management, commended the Michigan venture community for its robust growth in the last five years. She presented ProNAi Therapeutics for Financing of the Year for its 2014 capital raise of almost $60 million. MVCA President Elect Tony Grover, of RPM Ventures, introduced Larry Freed of Foresee Results as MVCA Exit of the Year, for its $200 million 2014 sale to Answers.com. Founder Larry Freed thanked “the village who raised” his company, his team at ForeSee and his supportive family. Ted Serbinski of Detroit Venture Partners presented Detroit Labs with the MVCA “100″ Award for building over 100 mobile apps in 2014. Founder Paul Glomski talked about his company’s successful apprentice program, which trains promising individuals with no coding experience for full-time work at his firm. Their approach to hiring and training staff has been so successful the company is offering the model to other entrepreneurial companies. Adox then returned to the stage to introduce a video tribute to Mike Finney, CEO of MEDC and winner of the 2014 MVCA Lifetime Achievement Award for his contributions to the entrepreneurial and venture community. Finney shared his professional creed “make money, have fun, and help people” and challenged MVCA members to continue doing the same. 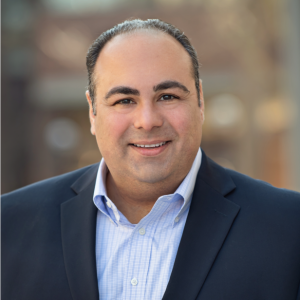 Tony Grover, MVCA Board Chair-elect, finished the evening by thanking the entrepreneurs in attendance and their families, whom he heralded as the hard-working and sometimes unsung heroes behind success in the venture capital investing world. The 200+ members and guests then departed into the chilly December night, profoundly grateful for a year of growth in Michigan’s venture capital industry and hopeful for another record-setting year ahead.